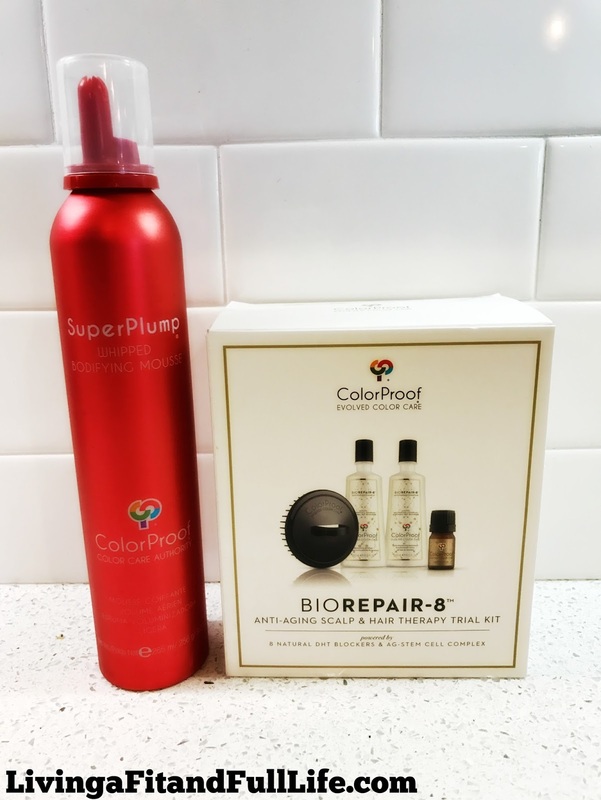 Living a Fit and Full Life: Boost Your Hair's Volume with ColorProof's SuperPlump® Whipped Bodifying Mousse & BioRepair-8! Boost Your Hair's Volume with ColorProof's SuperPlump® Whipped Bodifying Mousse & BioRepair-8! ColorProof Color Care Authority is a complete line of professional luxury products designed exclusively for color-treated hair. These next generation formulas combine the latest innovations in ingredient technology with best-in-class ingredients to create a new standard in color care. This salt-free ultra-rich, all-over bodifying crème mousse instantly delivers astonishing volume for a full-bodied silhouette. Nourishes and keeps strands soft and flexible while giving fine hair a power boost of body, bounce and shine with maximum color and heat protection. With this super-concentrated formula, a little goes a long way for instant lift and larger-than-life style. BioRepair-8 is our first skin-care inspired, scientifically advanced treatment that uniquely targets the four main causes of hair loss. We’ve harnessed advanced plant bio-cellular technology to combat the signs of aging, thinning, color-treated hair. Boost your hair's volume with ColorProof's SuperPlump® Whipped Bodifying Mousse & BioRepair-8! So, to say my hair has been in a funk would be an understatement. I have extremely fine hair and have been looking for products to boost my hairs volume for some time now. Many seem to let me down, but I'm happy to report that ColorProof's SuperPlump® Whipped Bodifying Mousse & BioRepair-8 has been a life saver for my super limp, no body hair. ColorProof's SuperPlump® Whipped Bodifying Mousse is phenomenal! I love that my hair still feels soft after I use it and that I finally have some body. I also love that it helps my hair look shiny too! 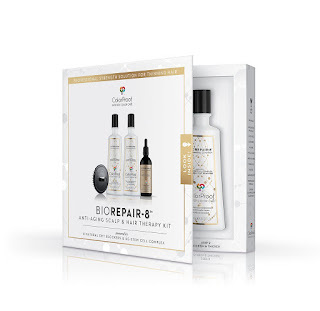 BioRepair-8 is the perfect way to help combat hair loss due to aging and I loving the results I'm seeing so far. If you've noticed hair loss, I highly suggest you try BioRepair-8. It's a quick and easy way to combat hair loss! Click HERE to find a store near you that sells ColorProof! Click HERE to learn more about ColorProof! Follow ColorProof on social media!